The London firm of Philip Antrobus was entrusted to create both the engagement ring and the wedding present the Duke of Edinburgh gave his wife in 1947. 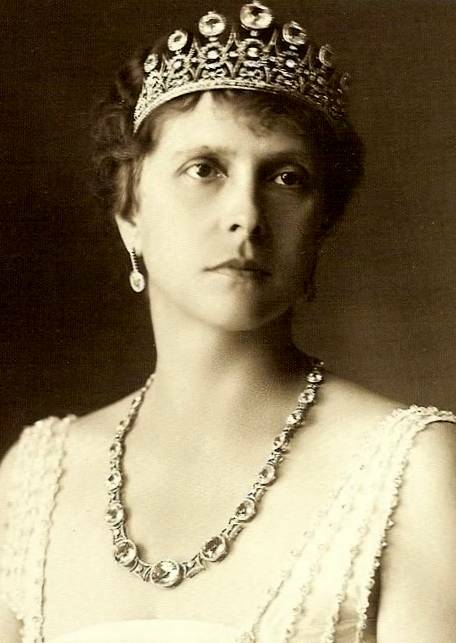 Both jewels were made from diamonds taken from a tiara that belonged to the Duke's mother, Princess Andrew of Greece and Denmark (born Princess Alice of Battenberg), and both were set in platinum. 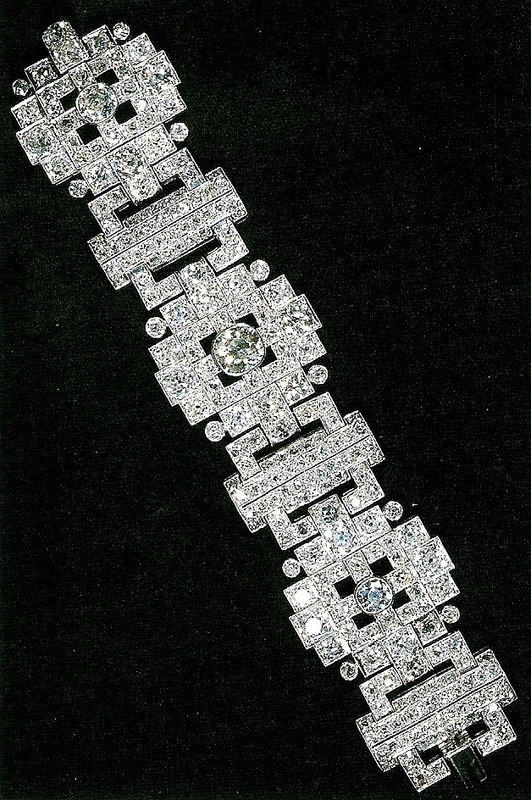 The wedding gift took the form of a wide bracelet featuring stepped geometric motifs centered around the three largest diamonds. It's quite a statement piece due to its width, and the Queen has continued to wear it from the early years of her marriage through today. 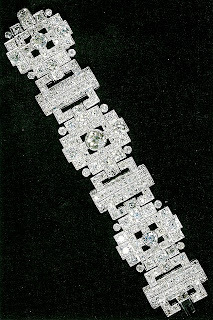 She chose to wear the bracelet in the official photographs taken to commemorate her Diamond Jubilee. 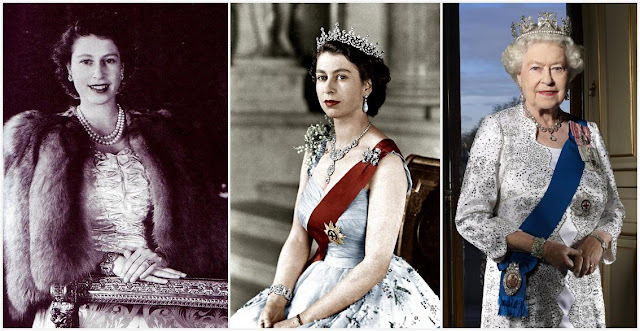 Combined with other jewels which have great history and particular relation to Queen Victoria, the only other British monarch to celebrate 60 years on the throne, it seems a specific tribute to the Duke and the support he has given her throughout her reign. Awww. Surprisingly, given what I would imagine is great sentimental value and given that The Queen has worn the bracelet in recent years, she chose to loan it to The Duchess of Cambridge, who wore the bracelet for her first state banquet appearance. Cover of "Dressing the Queen"